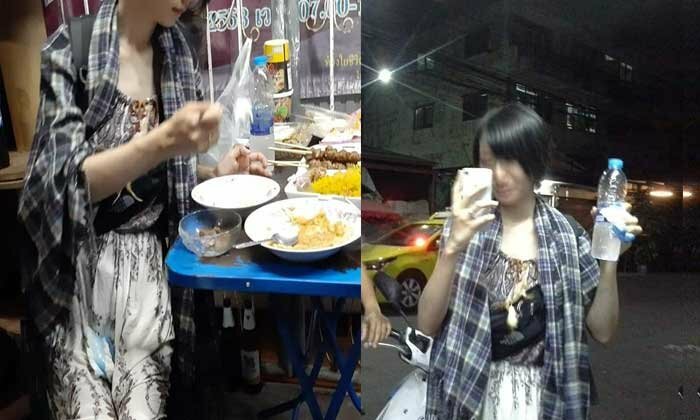 A Facebook post about a terrible Bangkok taxi driver had a happy ending after a Japanese tourist finally got to her destination. The touri﻿st had wanted to go from Asoke to Sukhumvit Soi 99 on Saturday – a journey of less than ten kilometers. Instead, as Sanook reported, the taxi driver took her on a “world tour” before finally dumping her on the other side of the river in Samut Sakhon around thirty kilometers away. Athichon Chacham found the bewildered tourist outside his place in the Orm Noi housing estate. Thankfully there was an app to translate languages and he discovered the lady’s problem. He made her an ome﻿let over rice then ensured that she got in a vehicle – this time in the right direction for her destination. The event was told on the Facebook page of Athichon who said it only took one bad incident like this to tarnish the image of Thailand.